You're sitting in a restaurant, looking down at the menu, and realize you really don't care what you eat. Might as well close your eyes and point rather than make the effort to choose. Whatever you get won't taste that great, anyway. Menu fatigue. Just when you thought that would never happen, you come across a restaurant that changes your life. Yes. You sit down at a table next to the wrap-around windows of Roast in London, overlooking the Borough Market. 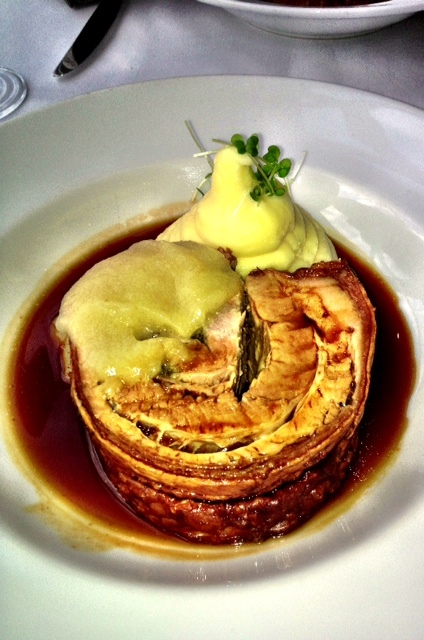 You order the Slow-roasted pork belly with mashed potatoes and Bramley applesauce (above). When it's brought to the table, you start to cry. Because, New Best Friend Forever, there is food that is fuel and there is food that transcends itself. Roast had to overcome the old reputation of British cuisine as god-awful. It met the challenge head-on, trying (this is just my opinion) for the kind of food you used to get in (some) private homes and half a handful of the best London hotels. Here's the pitch, from their website: Roast Restaurant in London's iconic Borough Market uses the finest seasonal ingredients to create classical British cooking that both supports and celebrates Britain's farmers and producers, many of whom are stallholders in the market. It's a perfect culinary closed circle there, south of the Thames, in the shadow of Southwark Cathedral, where Shakespeare may have worshipped and where his brother, Edmund, is definitely buried. Holy ground. Here in the 21st century, I'd read somewhere that the VICE-UK gang hung out at Roast and figured it might be at least interesting. No English dinner would be complete without pudding (dessert). 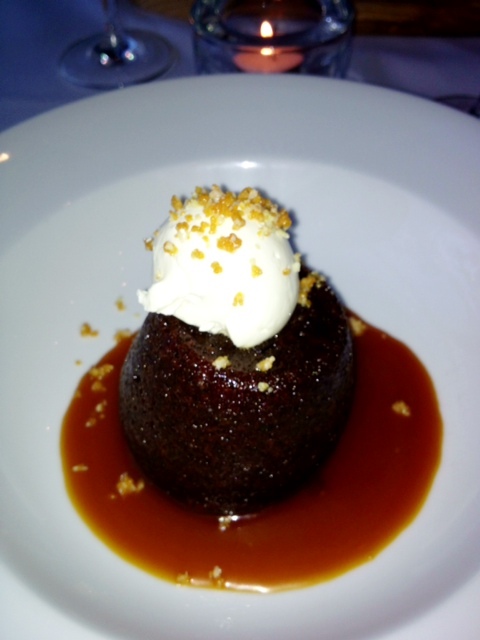 I leave you with Roast's Sticky date pudding with toffee sauce and Neal's Yard crème fraîche (below), just before I ate it all up, very slowly. p.s. In case you can't get to London anytime soon, here's the pork belly recipe. It seems that Bramley apples, the Granny Smiths of England only way better, are not readily available Stateside, so look below for your Instant Gratification treat. Instant Gratification: "Made With British Bramley Apples"